This article was published first in the Financial Services Forum’s Argent Magazine – Autumn 2011. What are Banks for, if not to feather their own nests? If we truly want to address the trust issues in financial services, I believe we need to ask some deeper, more fundamental questions about the nature of trust and what we’re here to do, individually and collectively. 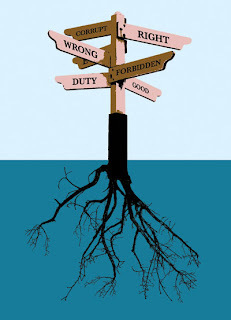 The first step, especially following the turbulence of the past few years, is to recognise how complex an entity trust is – easy to feel but difficult to understand. The brand and industry trackers show trust going up, down and sideways – there’s little consistency. In reality, while we haven’t seen people pulling their money en mass from banks or more switching from one brand to another, it feels as if the standing of financial services brands is at a low point. Functional trust underscores how well an industry or product group works to deliver a functional benefit. Here, banking actually continues to score highly and trust levels have actually increased – even more so since the government proved it would stand behind the banks. We all trust that a bank will work to deliver core commodity functions reliably. Affective trust is where financial services companies have a real problem. Very few people have affective trust in financial services brands and virtually no-one trusts the top bankers who serve as figureheads for our industry. They’re seen as defensive and self-serving. All the TV and newspaper advertising behind the message “We’re ordinary people working for you”, doesn’t move the needle, despite what a brand tracker might say. These messages are perceived to be superficial, actually creating more mistrust and frustration with our industry. It’s galling for a consumer to hear these advertising messages while also hearing a CEO defend massive bonus payments or threaten to leave the country when taxes are discussed. People integrate these messages. In our hyper-connected and hyper-transparent age, consumers assess brands and business on a range of competing dimensions to get very near the truth. The trust in business, and the banking industry especially, that people used to have and that gave a legitimacy to our commercial activities has been decreasing alarmingly in the West. Business leaders are now seen as “doing the right thing” by only 20% of the population. And there’s now clear evidence that commanding deep trust is a hard business issue, not a soft, intangible matter to be addressed through superficial communications alone. It’s already directly impacting balance sheets and business models – just look at the cost of compensating for this lack of trust through vastly increased capital requirements or the ring-fencing of retail operations suggested by the Vickers report. All because we as an industry are seen not to be worthy of trust. Against that background, most “normal” people are asking: What are financial services and especially our banks here to do, if it’s not just to feather their own nests? This assumption of self-serving goes to the heart of our business – and we will continue to suffer as regulators become more aggressive, spurred on by an increasingly frustrated and angry public. However, those brands that truly commit to both social and commercial good, that contribute to social capital through their activities and that mobilise their workforce locally and authentically to take this message out – for them, these are the most exciting of trust-building times. Authentic, real, connected trust has always been at the heart of the profitable customer-financial services relationship. That’s why it receives so much attention, and why building it continues to be the right thing to do. Read more about creating a sustainably trusted and trustworthy business and brand in Why Should Anyone Buy From YOU? (FT-Prentice Hall) by Justin Basini. It’s Available on Amazon and in all good bookshops. Posted on November 22, 2011 November 26, 2012 Author Justin BasiniCategories Book, Marketing, TrustTags argent, banking crisis, banks, brand strategy, financial services forum, marketing strategy, purpose, values, visionLeave a comment on WHAT ARE BANKS FOR? 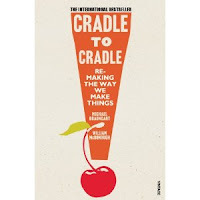 Last week I read a fantastic book called Cradle to Cradle about eco-effective product design. Really easy to read and really mind expanding. 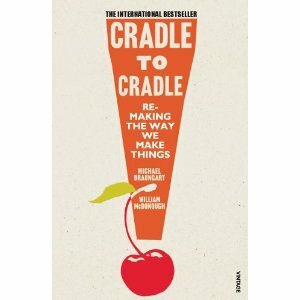 Definitely a read for all those involved in designing and delivering products. Here is a link to it on Amazon (its an affiliate link so you know!) and my two minute video review. I am thinking of doing a series of these video book reviews. Please give me feedback on whether you think they work and what I should include. Here is also a TED talk by William Mcdonough on the key concepts. What do you think? Leave a comment below and share these important concepts.